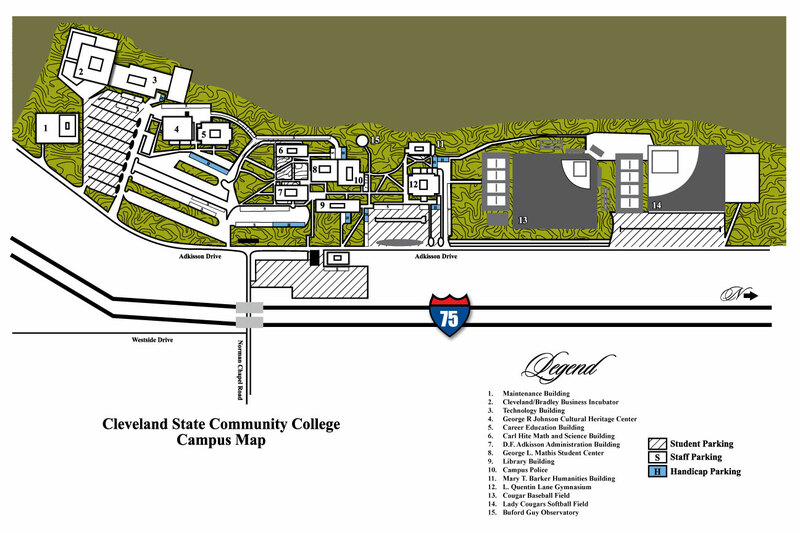 The Campus Police at Cleveland State Community College exists to protect the people and property on the campus grounds. Trained and qualified officers work tirelessly to maintain the safety and security of the campus. However, a safe campus can only be achieved through the cooperation of students, faculty and staff. Cleveland State’s Police Department is committed to serve, protect and assist. Cleveland State Community College offers a stimulating educational environment and a safe environment. Every day, hundreds of individuals work to provide a safe living and learning environment so your experience at Cleveland State is as full of growth and as trouble-free as possible. Cleveland State Campus Police policies and procedures are aimed at your safety and welfare. You also play a key role in maintaining your own safety on campus by following security policies and using common sense safety practices, such as walking in groups; reporting suspicious activities; and not leaving books, coats or backpacks unattended. The following provides an overview of helpful security facts. While aimed at students, much of the information is of value to CSCC employees and visitors. The administrative office responsible for security on campus is the Campus Police, which reports to the Vice President of Student Affairs. Cleveland State’s Campus Police staffs three full-time P.O.S.T. certified police officers, one full-time unarmed security officer, and 4 part-time unarmed security officers at the main campus. The Athens campus has one full-time P.O.S.T. certified police officer and one part-time unarmed security officer. Full-time police officers have complete authority to enforce State and Federal statutes on all CSCC properties owned or leased. All officers have complete authority to enforce all CSCC rules and regulations. A security officer may also refer to an offender for further action. Joint efforts are made between Cleveland State Campus Police and Cleveland City Police should there be a serious crime that occurs on the campus. Prosecution of misdemeanor and felony criminal offenses are conducted by the Court System of Bradley County. *Note: These lists are not all inclusive and other services are provided. If you have any questions please stop by the Campus Police Office located under the black awning along the main sidewalk between the Administration building and the Gym. You can also call our cell number which is monitored 24/7 at 423-618-1720.